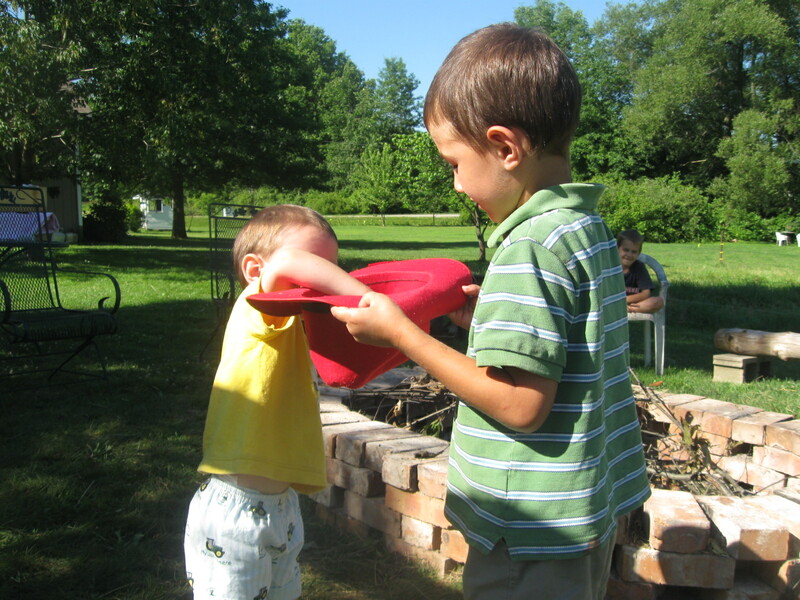 Tag Archives: our legacy and co.
Saturday evening, Ahhh… time to get ready for our Sabbath rest and refreshing. Just wanted to share a few projects and thoughts. This week we had a custom order, a lady in Kentucky sent me fabric and a picture and asked me to make this out fit for her. At the end I had some fabric left and suggested making the matching purse and hair clip. She liked the idea and this is how they all turned out. The outfit is monotone with grays, I am not very fond of gray, it kind of reminds me of cloudy days. But, this turned out very nice. I suggested adding the pink monogram to the purse, I do like pink and gray. 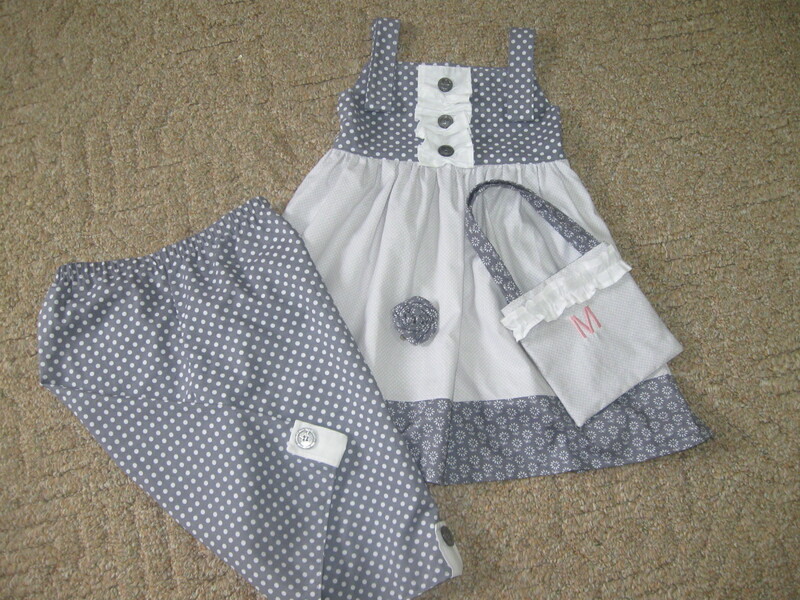 I thought the buttons on the rouche ruffle and the tabs on the pants were cute. She sent me the buttons, elastic, every thing. So, I thought before I let this dress go I wanted to make something similar. 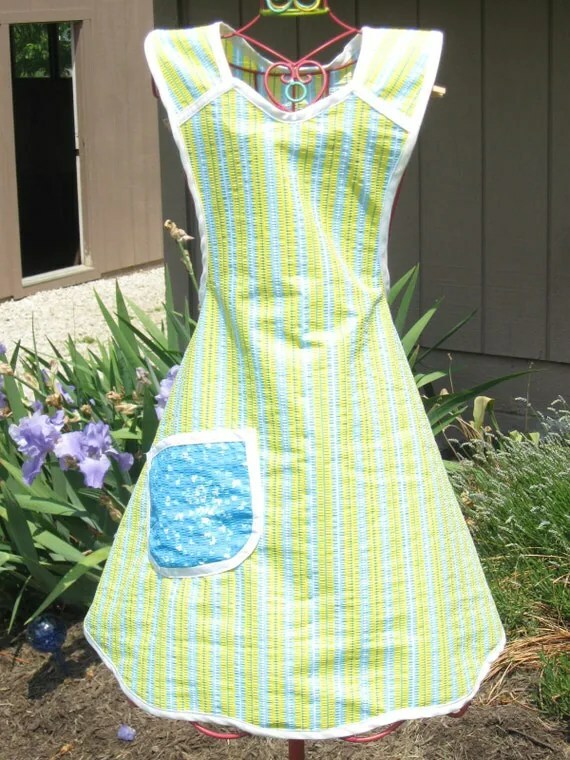 Since I will never make this dress again, I have no idea where she got the fabric. I have had this cowgirl fabric in my head for probably a year. I really pictured it with red. But there are many colors in the print, so I pulled the hot pink and the blue. I also pictured it with a lighter denim, but I made due with my dark indigo. The dress is soothing to me with the blue. And the denim will be great to wear under it in cooler, and colder 😦 months. I opted out on the buttons on the rouche ruffle at the top. I had some tan ones and they looked cute, but they were kind of small and I think it is just “simply” pretty without them. On the gray, they gave a “tuxedo” look and I thought color- wise that was appropriate but the cowgirls just didn’t need the buttons. The jeans are actually straight leg, which I don’t do a lot but as you can see, I couldn’t help putting a band and ruffle detail just above the hem. This was fun to design. 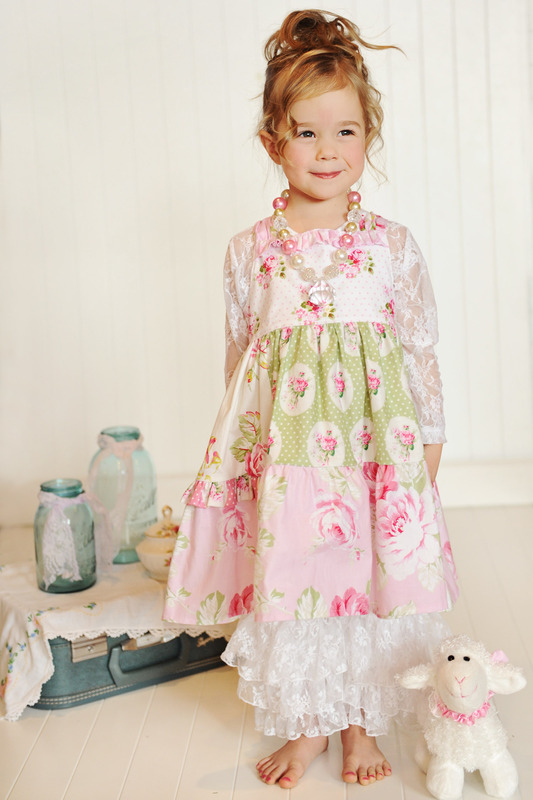 I have another knot dress waiting to be made next week and some more t -shirts to embroider. 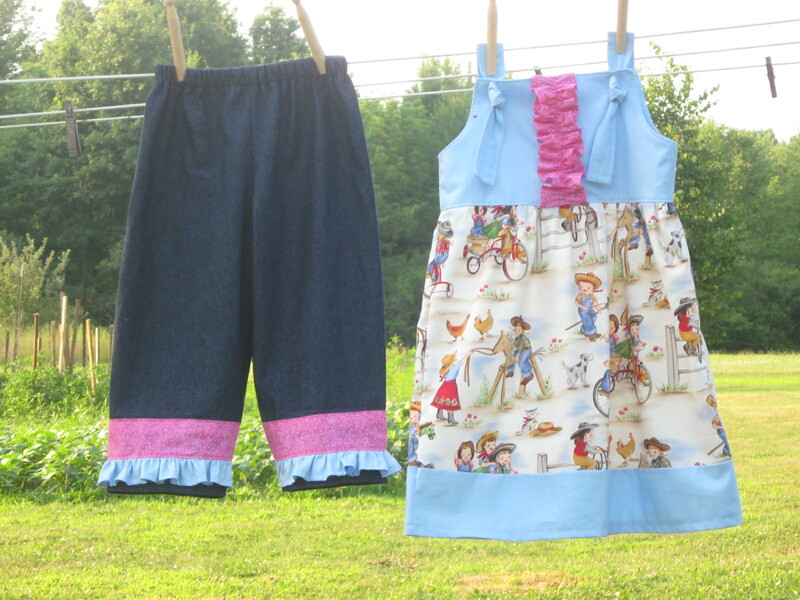 We’re going blueberry picking on Monday so, we’ll see what kind of sewing gets done next week. She did a great job. She used magnets to close the top, very cool. I am so pleased with her skill. She is like her father when it comes to sticking to a task. And making sure it is done to her satisfaction, which is a high standard. Now I can look forward to tomorrow and focus on my Maker and Savior who loves me with an everlasting love. And all who are His. I look out my window and am thankful for his evening sky paintings. Always different, every night. Always beautiful! Amazing! I hear the birds singing their even song. I need to praise Him with song more. “Thou wilt keep him in perfect peace whose mind is stayed on Thee because he trusts Thee” Thank you Father. Praying for the grace to live in His peace no matter what things look like around me. For a control freak, this is the only way, God’s grace, God’s never failing, even when things look bleak. Praying for Him to give me the ability to take Him at His Word. Tags: childrens clothing, Honoring God, industry, inspiration, our legacy and co.
Pictures are truly worth a thousand words! 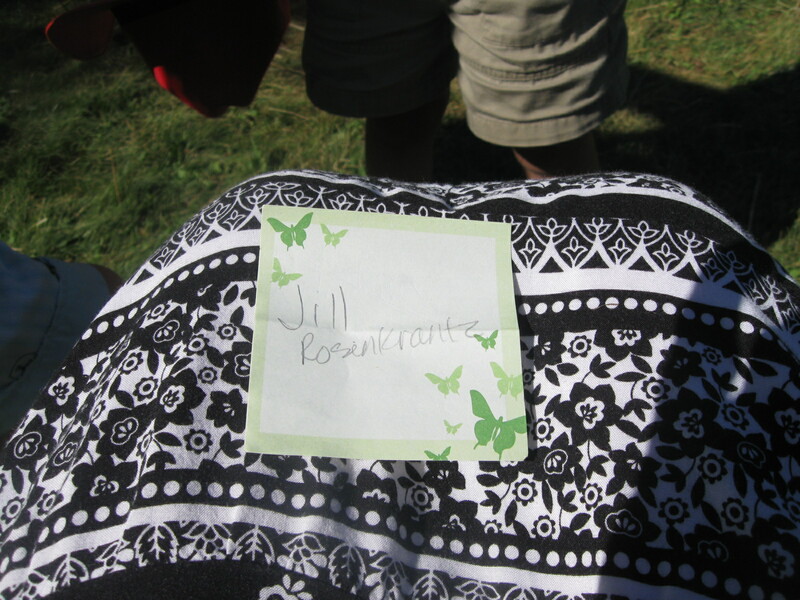 Congratulations to Jill Rosencrantz! Enjoy! And thank you to you all who participated, and left such kind comments! Happy Summer! Tags: give away, our legacy and co.
We were invited by http://www.forgivenlovemuch.com to join her in this give away. And we thought it sounded like a great idea! The give away runs today and tomorrow July 1, and 2nd. The winner will be chosen on July 5th. After the holiday weekend. And we will ship by July 7, 2011. 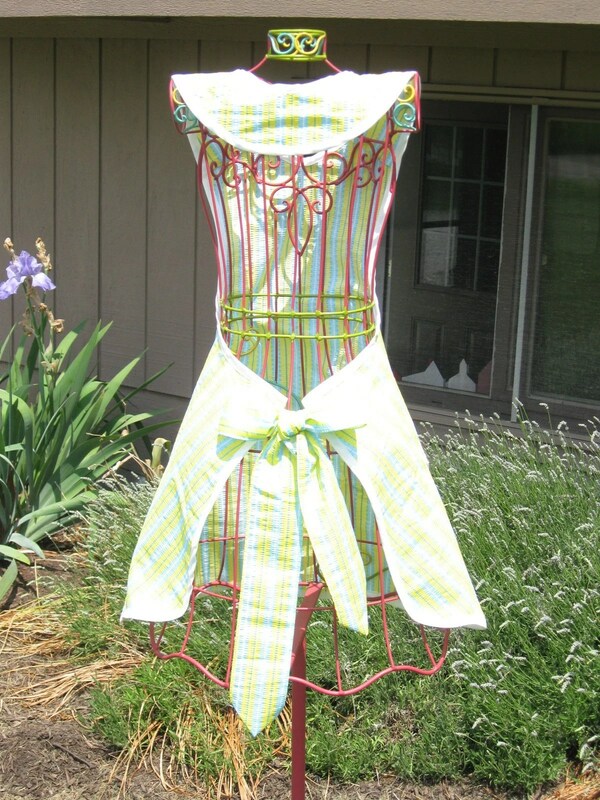 If you would like to win this cheery summer apron for your next barbecue or picnic. Just follow these simple directions to enter. 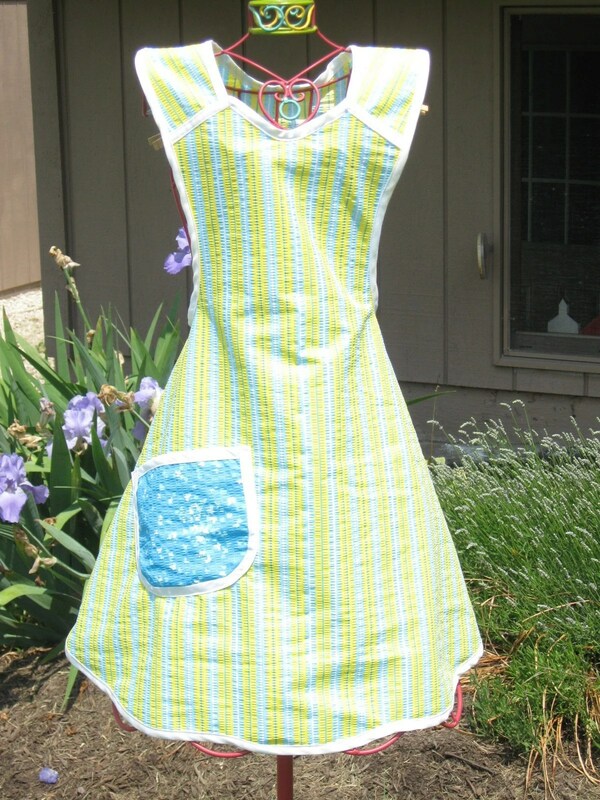 This apron is made with poly cotton plisse’ pucker fabric. Trimmed in white bias binding. Has wonderful long ties and fits size small to medium. We will ship this for free to the continental United States. We will be happy to ship internationally for a $7.00 shipping fee. 1. Visit our website and let us know what your favorite item is. By contacting us through the contact page. 2. Visit our 2 Etsy shops and heart one item from each shop. 3. Leave a comment on this post when you are all done. We will enter your name and my 2 1/2-year-old will draw the names out of a hat on Tuesday and we will e-mail the winner and get your address for shipping. When contacting us through our website, we receive your e-mail. 4. If you would like another entry just let your friend know and have them mention your name when they enter. Happy Summer! Hope you enjoy this give away!! Tags: bias binding, give away, our legacy and co.
Got my second ladybug design, I have had this sitting in my think tank basket for at least 2 weeks. My last one was very sweet and girls were liking it but it was difficult white fabric to work with. So, I got this design together and added a personalized monogram which I think some might enjoy. The ladybug is not actually centered on the dress, it is just the way our little niece is standing. Who, by the way is a very sweet girl! 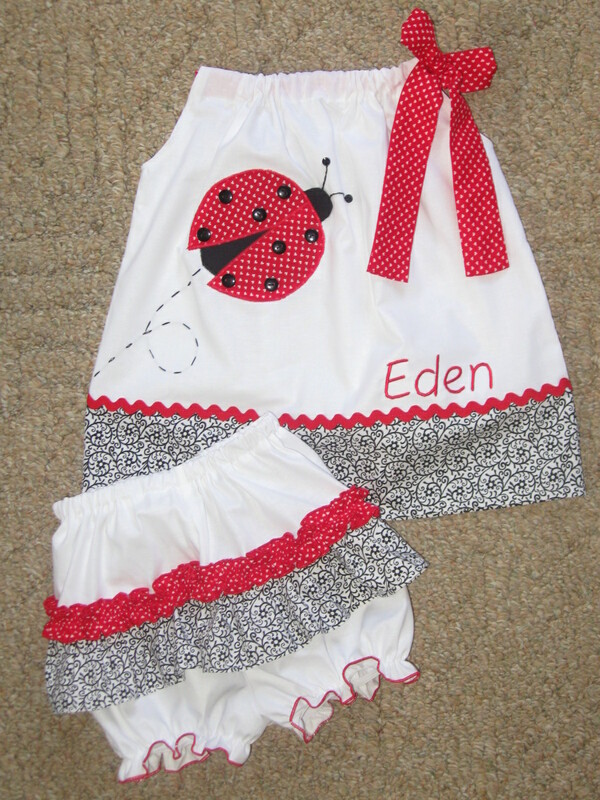 Also, this morning when I was preparing for her to come, I made up these little bloomers for her to wear under the dress, I just love when I’ve had a good night’s sleep, and my heart is at rest, the Lord can drop ideas into my head. I give Him credit for this pair of bloomers! Have a great day! I am praying for summer to really come here, we have been having cool and rainy weather and I’m ready for some warmth and sunshine! This is a little hint to the give away item. Praying you will have a day that is filled with the light of His countenance and that He will give you and I peace! What it is: A brown cloth, resembling flannel, that has been treated with a liquid solution containing real silver particles, miniscule, but real. It is brown because when silver tarnishes it turns a dark color…..
What is it’s purpose? You store your silver in it and it retards tarnish. You have to polish your silver much less or hardly at all. Very cool. I have a tea service from my grandmother I would like to try it with. The customer wanted to make sure I got the real thing, there are phonies. There was some on Amazon but I got this from some one who actually makes it in Texas, The company was called, Silver Guard. They were almost $3.00 cheaper per yard than Amazon. They also sell different silver keepers that they make. The woman was very helpful, at first I didn’t order enough, and had to order more, then she explained some sewing tips to me. I was very happy with their customer service. And their yards of fabric were always a little over which I appreciate! I thought their ready made silver keeper prices were reasonable, but the man contacted us to custom make him some strange sizes. And I am so thankful he did, it was a good job for us. The top is the nap side, the inside of the bag. The bottom is the outside, sort of dull looking. But this is just to store silver trays. The customer asked for a monogram, we e mailed some choices and he picked this font. 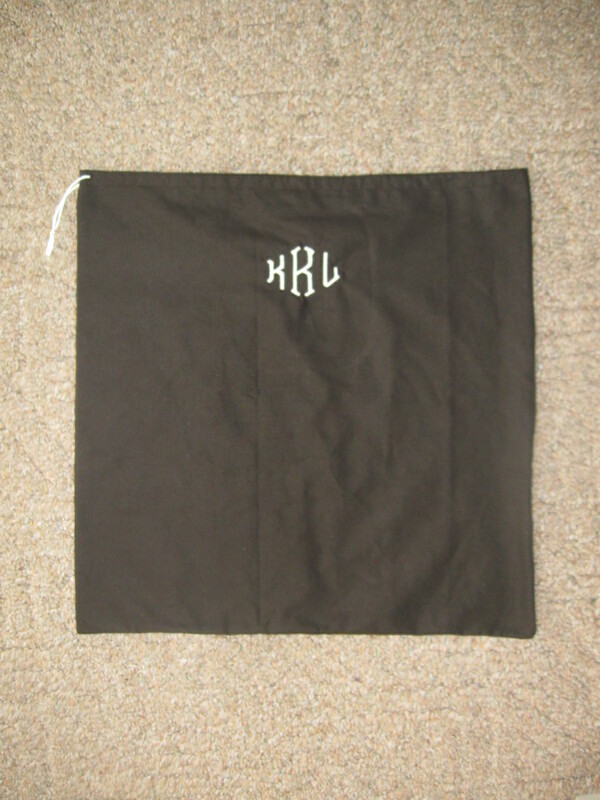 Makes the drab bag look a little more classy! 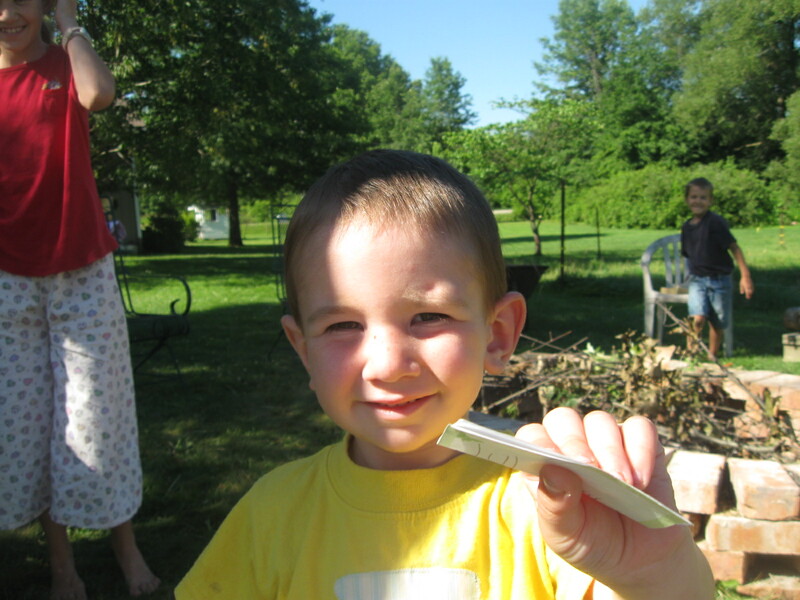 Then we used an ivory cord for the draw cord. I do prefer making pretty dresses, but, work is work right? I thank God for His provision!